As quintessentially British as the Rolls-Royce—ironically both now owned by the same parent company, BMW—the Mini occupied the very other end of the sociological spectrum. Despite of this the Mini was, as UK designer Terence Conran called it, “a classy little classless car.” Many people of fame and fortune whose family crests were emblazoned on megabuck automobiles did not consider it “beneath them” to be seen in a Mini, especially a Mini Cooper. This iconic aspect gives the Mini an entirely unique cachet. Alec Issigonis’ visionary design tour de force stands even today as the epitome of the “form follows function” school of thought: the diminutive Mini had more interior space than most modern small, and even many large, cars. 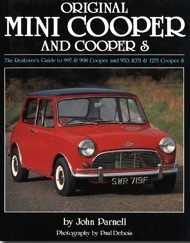 This book concerns itself with the performance-oriented 1961–1971 Minis in Cooper and Cooper S guise. 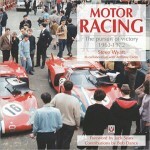 If you already are into Minis you will think you already know this book. 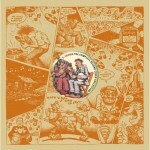 And you do, since 1993—it’s here presented in its FIFTH edition! As the subtitle indicates, this book is not primarily a model history but rather aims to provide the restorer with an authenticity guide. Concours judges and the like will have a use for that kind of definitive information too, as will the prospective buyer who is examining a new purchase. Coopers in particular are affected by a booming market in fakes! Parnell has been interested in the car pretty much since it was new but it wasn’t until 1987 that he discovered the Mini Cooper Registry. Fast forward another couple of years and he’s the editor of its magazine and Coopers have taken over his life. It is par for the course for a decent club magazine editor to get a firm handle on the existing marque literature. As is so often the case, Parnell found it wanting because, as is equally often the case, one author “borrows” from another instead of doing original research and thus inaccuracies in the record are repeated ad infinitum until, over time, they became gospel. He took it upon himself to review a MILLION records at the British Motor Industry Heritage Trust to establish accurate production numbers, parts and spec changes, market-specific differences, and anything else that affects or establishes a car’s claim to originality. The non-“S” models in particular were in need of such housekeeping because the BMIHT’s archivist Anders Ditlev Clausager had already done similar work for the “S” Coopers. 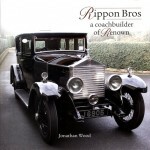 He provided text and consultation for this book. Each of the three Marks, the license-built non-British Coopers (i.e. Innocentis, Authis, and Australians. Obviously this section is rather more abbreviated—be glad it’s there at all! ), and the Rover Mini Cooper are covered separately. A Buying Guide discusses problems of authentication, fakes, uses an unrestored car to illustrate pitfalls, and examines the merits of buying restored vs. unrestored. The specially commissioned photos by Paul Debois work their usual magic (he’s done several of the books in this series) and most suitably strengthen the text by showing just what is needed in the form of detailed close-ups. 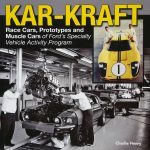 Even if you are not restoring or judging a Mini Cooper, this book will be a critical reference tool in your library because of Parnell’s cleaning up of the raw data.